The people of Israel wanted a king to rule them, but the priest Samuel warned them that God wanted no king for his nation. 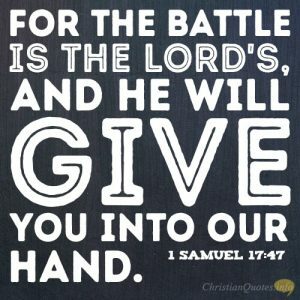 The book of 1 Samuel outlines the birth of Samuel, his life as a dedicated man of God, and the outcome of his warnings. Saul ruled Israel but became a wicked man, and David rose up to rule in his place. 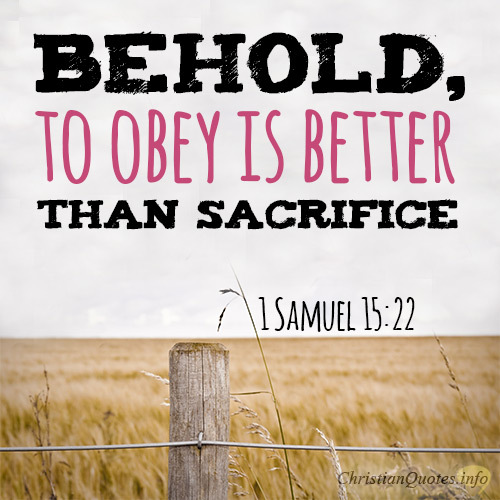 The wisdom of Samuel can still guide us today. Yet do not turn aside from following the Lord, but serve the Lord with all your heart. David had more success than all the servants of Saul, so that his name was highly esteemed. Thus says the Lord, the God of Israel, I brought up Israel out of Egypt, and I delivered you from the hand of the Egyptians and from the hand of all the kingdoms that were oppressing you. But today you have rejected your God, who saves you from all your calamities and your distresses, and you have said to him, Set a king over us. 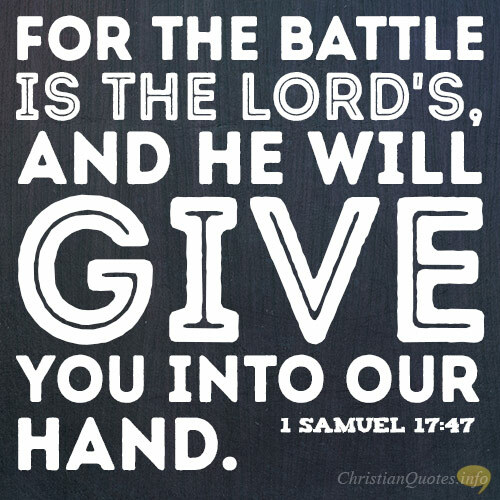 It may be that the Lord will work for us, for nothing can hinder the Lord from saving by many or by few. Then David said to the Philistine, You come to me with a sword and with a spear and with a javelin, but I come to you in the name of the Lord of hosts, the God of the armies of Israel, whom you have defied. The Glory of Israel will not lie or have regret, for he is not a man, that he should have regret. But Saul said, Not a man shall be put to death this day, for today the Lord has worked salvation in Israel. 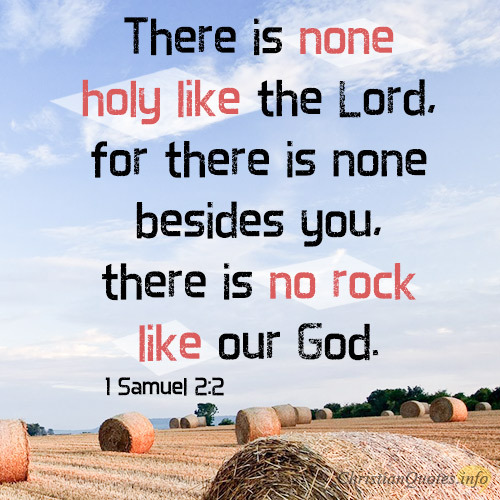 There is none holy like the Lord, for there is none besides you, there is no rock like our God. 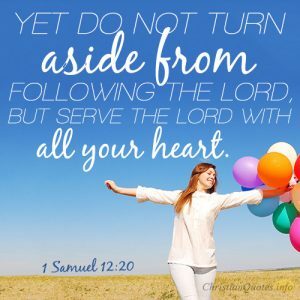 As for me, far be it from me that I should sin against the Lord by ceasing to pray for you, and I will instruct you in the good and the right way. What is your favorite lesson from the Book of Samuel?